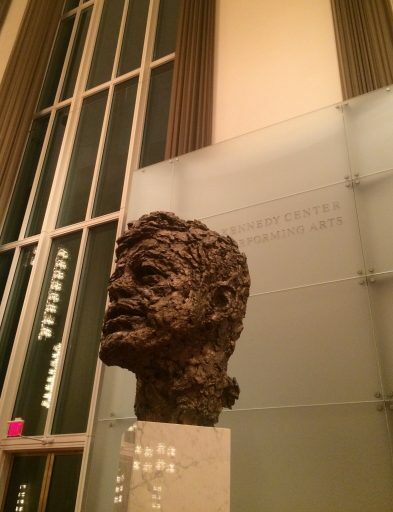 Happy Arts Advocacy Day! Arts advocates from across the country came to D.C. on March 20 & 21 to participate in discussions and lectures centered on the importance of art and developing public policy to support the arts in our country. As a Dance Educator I see on a daily basis how dance and the arts impact our children in so many positive ways. 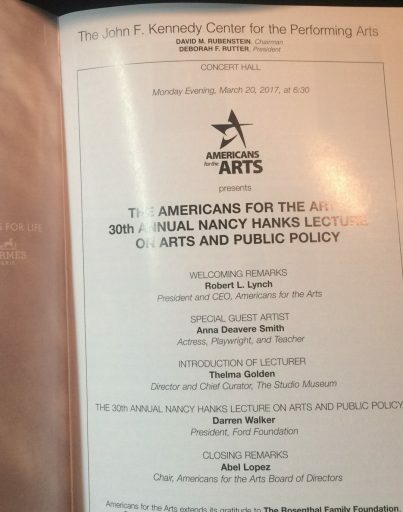 I wa s fortunate to attend the 30th Annual Nancy Hanks Lecture on Arts and Public Policy on March 20th. This is event was part of the many events happening as part of Arts Advocacy Day put on by Americans for the Arts. It was amazing to see so many arts supporters and advocates gathered together with the common goal of keeping the arts thriving. Darren Walker, President of the Ford Foundation was the main speaker of the evening. He gave an inspiring speech centered on the importance of public funding and support for the arts so that Americans of all ages and backgrounds can experience the joy, creativity and passion that the arts provide. I see the love and joy that dance brings every day in our classes at Adagio. Dance promotes creativity, problem solving, creates awareness of the body, and builds confidence. Our hope is that when our students leave the studio they will carry the lessons and experiences they gained here, with them for the rest of their lives. Arts Advocacy day is a reminder to all of us to go out and share our love of the arts and advocate for its importance.